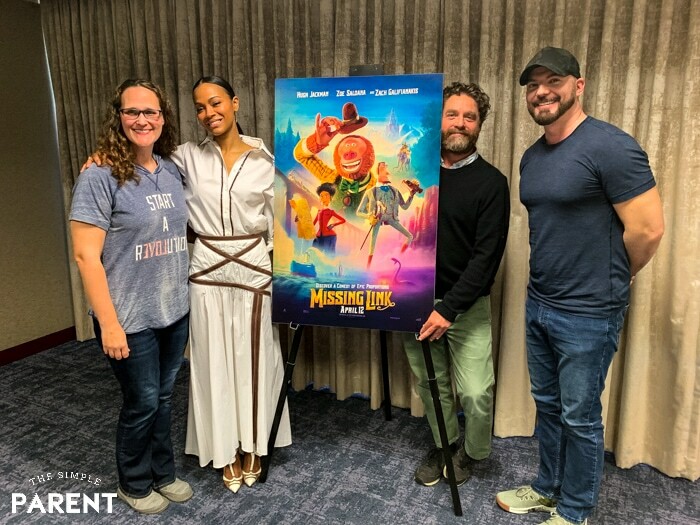 Home » Entertainment & Technology » Missing Link Movie Cast Interviews with Zach Galifianakis & Zoe Saldana! 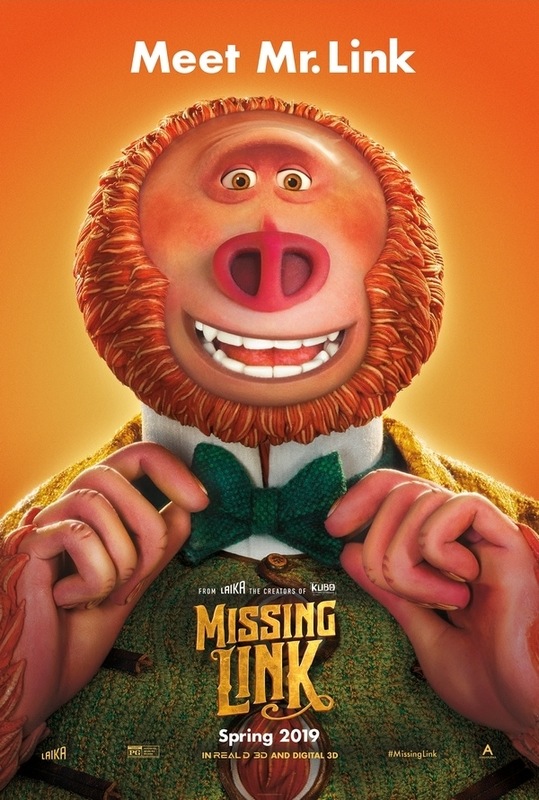 Missing Link, the latest film from Laika Studios, opens in theaters everywhere on April 12th! A few weeks ago I had the chance to screen the movie and be part of some great Missing Link Movie cast interviews! After seeing the movie, we sat down with director Chris Butler and actors Zach Galifianakis and Zoe Saldana to learn more about their experience making the film! 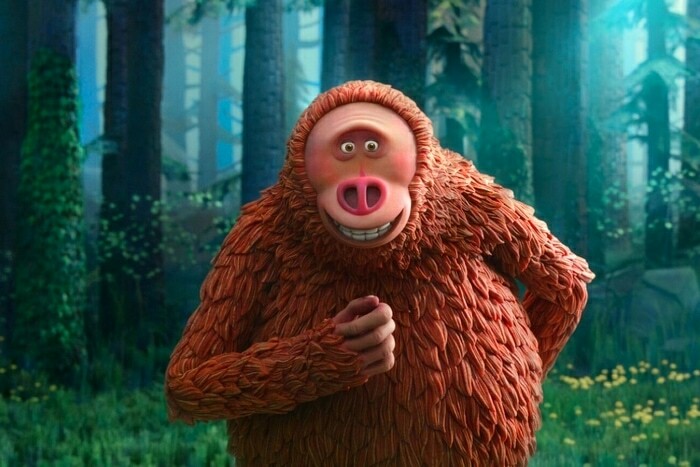 If you haven’t seen the trailers for Missing Link, you’ve got to check one out! Watch the one below and I think you’ll be counting down to seeing the movie this weekend too! 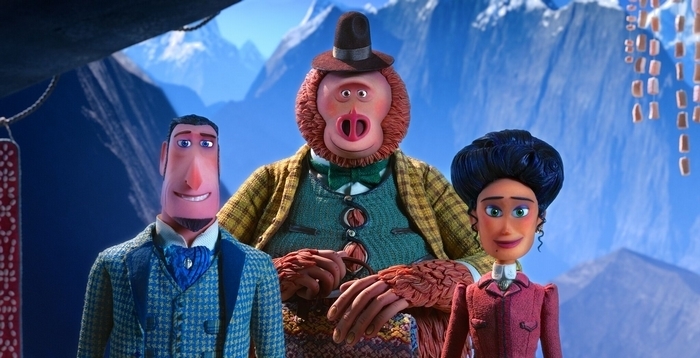 Missing Link is a globe-trotting family comedy adventure from LAIKA that was created using stop-motion like all of their films. Missing Link follows meet Mr. Link. He’s 8 feet tall, weighs in at 630 lbs, and is covered in fur, but don’t let his appearance fool you! He’s funny, sweet, and adorably literal. It makes him the world’s most lovable legend! The movie is beautiful and the characters will have you hooked. That’s why I was excited to learn more about the movie from the people who brought it to life! If you’ve ever wondered what it’s like to sit in a room with Zach Galifianakis, let me tell you that it’s just as entertaining as you might expect! He was a riot to interview and had us all laughing again and again. But I also loved chatting with Zoe Saldana and hearing her female perspective on the film. Director Chris Butler is just brilliant while being extremely down-to-earth too. I have to admit that I was walking behind Mr. Link when we were at the press event after the interview and he looked EXACTLY like a hairy avocado with legs! So they definitely nailed the look! He says it helps with the writing process and he starts making a list of actors very early on in the process. Many times a director doesn’t get the people from his list, but in the case of Missing Link, he got all of his top choices. Chris Butler was thrilled to get his top choices when it came to casting, so we asked both Zach Galifianakis and Zoe Saldana what it was like to be part of the project. Yes, he had us all laughing from the start! I think that magic comes across on the big screen and I love that we can all enjoy that feeling. One of my favorite things about our Missing Link movie cast interviews was finding out what they each thought about their characters. I always find it interesting to hear their perceptions and what they like about their characters. Zach Galifianakis voice Mr. Link. Even though Zach had us laughing throughout the interview, I loved when he shared about Mr. Link and why he is drawn to him. Mr. Link has an innocence and purity to him. He lives in the woods and nature is where we have often feel purity and that wide-eyed wonder. Then Mr. Link sees what people have done to the world. She likes that Adelina has history that she doesn’t want to rehash the way Lionel does. She’s been through a lot. She also liked that in the end, Adelina chooses herself. It was important to Chris and Zoe liked it. 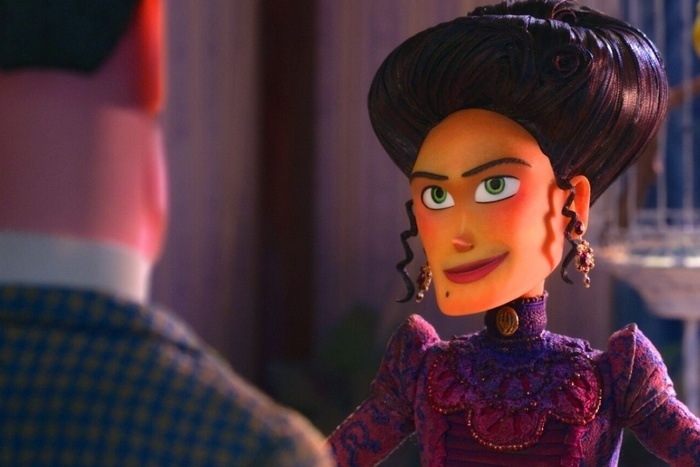 I won’t spoil the movie, but watch for decisions Adelina makes for herself at the end of the film. When I see a film that’s directed towards my kids, I always look for the themes and messages that it might be sending to them. 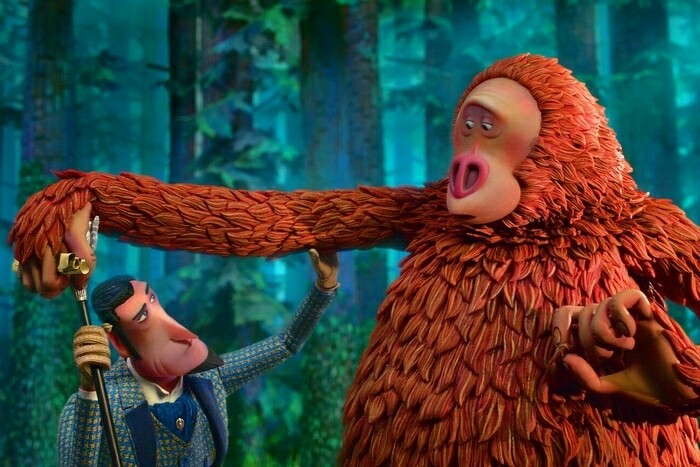 Missing Link is full of beautiful messages that we all need to hear. Friendship and family are huge in the movie and Chris Butler wanted to explore the idea that family can be more than the one that you’re born into. Family can be made up of your friends. Chris wanted to get across the idea that our identities are formed by ourselves. Idenity isn’t something that is put upon us by other people. I think he was very successful and both are messages I want my children to hear. They’re both great messages for all of us, no matter how young or old! You’ll recognize one of my favorite parts of the movie when you get to it. It has to do with a little chicken that has everyone asking What’s with the chicken? Don’t ask about the chicken! But Chris Butler was able to give us some insight into the chicken scene in the movie. His inspiration in the scene came from a National Geographic photo he once saw. It was a picture of a woman walking down the street with a chicken on her head and it just stuck out to him. He likes it when you just have something random sometimes. I loved his answer. Random can be so fun! I think it’ll have the whole family laughing. After his first session with Zach, Chris Butler noticed that Zach was deconstructing lines and moved words around. Chris then started writing for Zach rather than for himself as he had been before. Chris Butler believes Lionel (voiced by Hugh Jackman) has the biggest journey to make in the movie. He’s the most flawed character but seeing someone that selfish make an effort, even a small one, was very important. You have to stay for the credits. They’re Zach’s favorite part of the movie and I have to agree with him! Mr. Link chooses a name for himself. He chooses the name Susan. Christ Butler intended to have it open up a conversation and did it in the form of a joke to open it to a wider audience.